Again, Jonathan’s Approval Rating Takes A Beating - kaycee Weezy! Only 4 out of 10 Nigerians approved of Mr Jonathan’s performance. 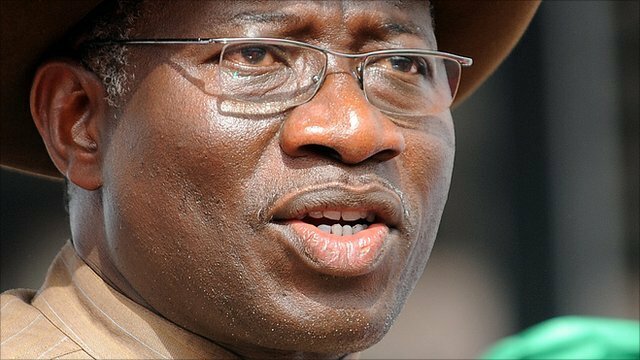 Fresh from the whopping 8-point drop in March, President Goodluck Jonathan’s approval rating continues to take a bloody nose according to the NOI Polls for April released on Tuesday. The President’s rating dropped by 4 points in April to an all time low approval rating of 42 per cent since NOI started conducting the polls 4 months ago. A further breakdown of the result shows only 4 out of 10 Nigerians approved of Mr. Jonathan’s performance. The poll, aimed at gauging “approval rating of the president, the performance of the current administration, and the situation of power supply in the country,” shows more Nigerians are getting frustrated and are (beginning to) lose faith in the government. The poll also shows that despite government’s claim of improved power supply most Nigerians think it has become worst. Over 68 per cent of respondents say power has either gotten worse or has not improved. Last Sunday, media aide to the President, Doyin Okupe, said that the Jonathan- administration has almost resolved all the problems it inherited in the power sector, adding power generation will hit 10,000 megawatts by December. Also, a geo-political analysis of the poll result show the president has drastically lost ground when compared with the 2011 election results. The poll shows that the president’s best approval rating is from the South South geopolitical zone with 59 per cent approval rating. This is not entirely surprising as the President is from the South South zone. However, when compared with the election result from the same zone two years ago, this rating becomes less cheering. According to the election result, the President won 95.97 per cent in the zone. The NOI poll show the president has lost over 36 points in his approval rating since the election. The story is not different in South East zone. The president received the highest number of votes from this region (98 per cent) during the election. However, the NOI poll shows he now has 58 per cent approval rating from the zone. This is a 40 points drop since after the election. According to NOI polls, the President approval rating in the South West zone is 29 per cent. When compared to his rating during the election where he won 57.80 per cent of the votes, this is more than 28 per cent drop in his approval rating. The President has the lowest rating in the North Central region with an abysmal 23 per cent approval rating. The poll did not give the breakdown of Mr Jonathan’s approval rating in the North West and North East region although it is difficult to expect that his rating will be any better in these regions. During the 2011 election when he was winning by a landslide in other regions, he recorded his lowest votes in these regions (North West 32.13 per cent; North East 34.54 per cent). With the administration’s poor handling of the Boko Haram insurgency in the North East and his increasing unpopularity in the Northern region, generally, one can only expect his approval ratings in these regions to be more abysmal.